Echobox is an artificial intelligence company working on exciting new technologies that will power the Internet of the future. We are passionate about sharing our knowledge with the world. The Echobox Showcase presents indicators, visualisations and data for exploration and download. Anyone is permitted to use the material for personal, commercial or academic purposes. 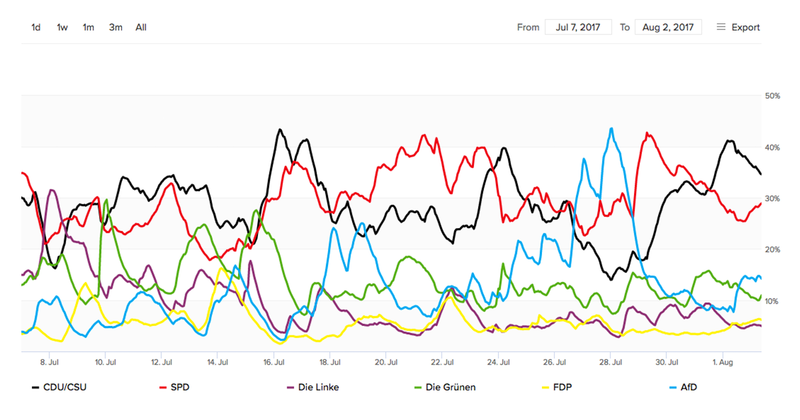 The German Election Tracker shows which German political party is attracting the most interest (both positive and negative) from the electorate at any given hour. It offers a unique perspective on an election campaign that will have a major impact on the future of Germany and Europe. The SMI shows you how much traffic the online publishing industry receives from social media every single day. 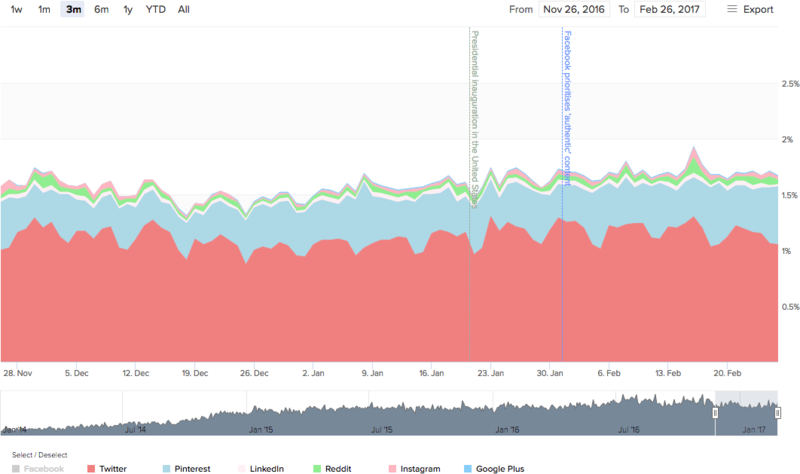 The SMI is the first of its kind, making it possible for anyone to easily identify trends, spot spikes and patterns in social-media generated traffic. 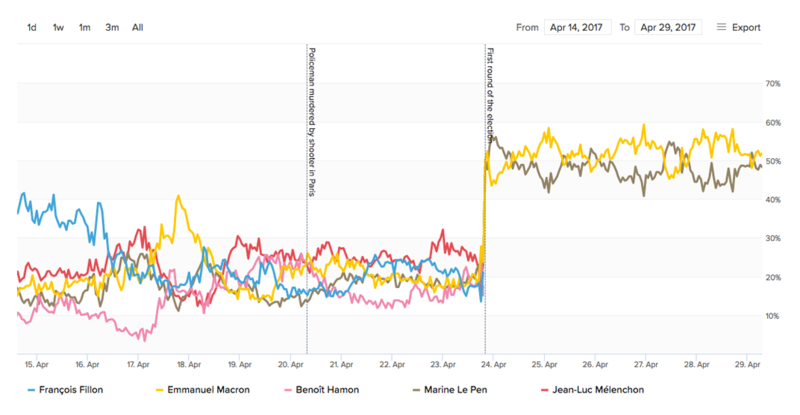 The French Election Tracker shows which French presidential candidate is attracting the most interest (both positive and negative) from the electorate at any given hour. It offers a unique perspective on an election campaign that will have a major impact on the future of France and Europe.